Derevyanchenko, who is rated No. 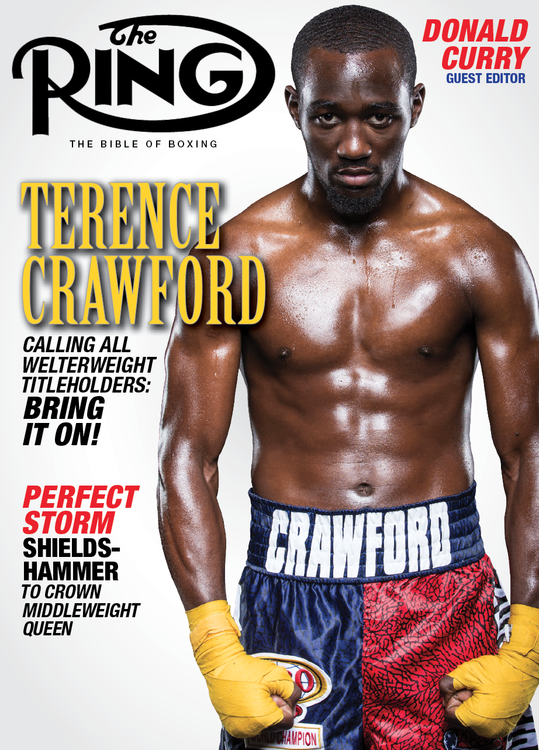 7 by The Ring Magazine at 160 pounds, knows victory will put him on the cusp of a second world title fight. “Jack Culcay is a good fighter,” Dereyanchenko told The Ring through translator Irina Mogileva. “[He is] experienced and he was a [WBA regular junior middleweight] world champion. This is a worthy opponent and I think the fight will be exciting. Culcay, who was born in Ecuador and moved to Germany, turned professional in the fall of 2009. He won 22 of his first 23 outings before dropping consecutive decisions to Demetrius Andrade and Maciej Sulecki. THe 33-year-old Culcay (25-3, 13 knockouts) has been victorious in his last three appearances. Dereyanchenko, known as “The Technician”, turned pro in 2014. He was fast-tracked to a world title fight, winning 12 straight contests before narrowly losing to Daniel Jacobs in October. The 33-year-old feels this was a valuable learning curve that will help him grow as a fighter. Also, against Jacobs, Derevyanchenko had to do without trainer Andre Rozier, who was in the opposite corner with his stablemate. Unfortunately, history has almost repeated itself this time because Rozier, currently preparing Jacobs for a unification bout with Canelo Alvarez on May 4, has once again been absent. With both Derevyanchenko and Culcay turning 34 later this year, we have a crossroads fight and the loser will have a long way back to title contention. The bout will be broadcast live in the U.S. on FOX 1.